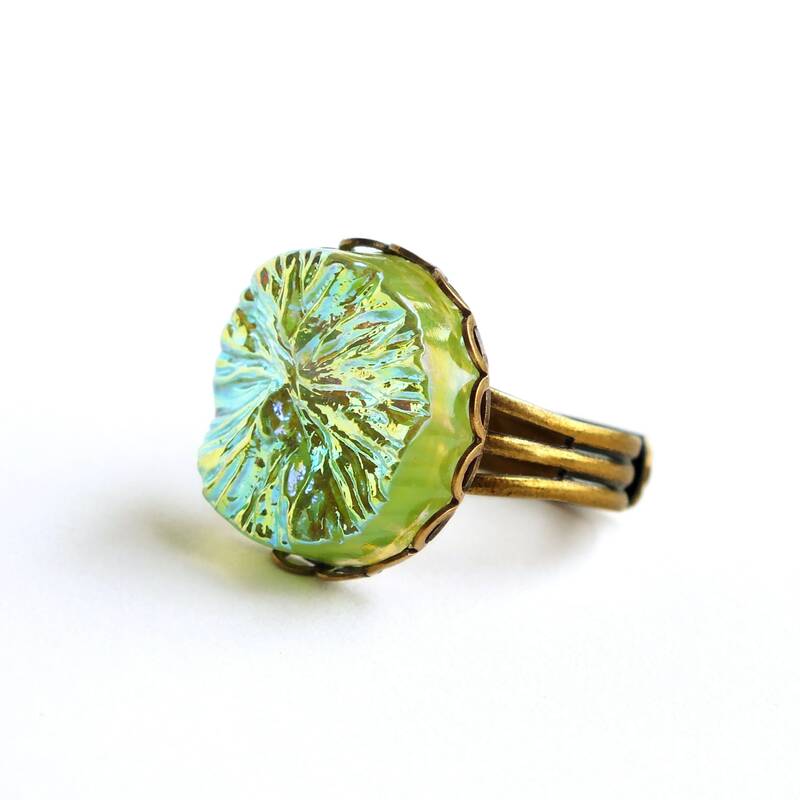 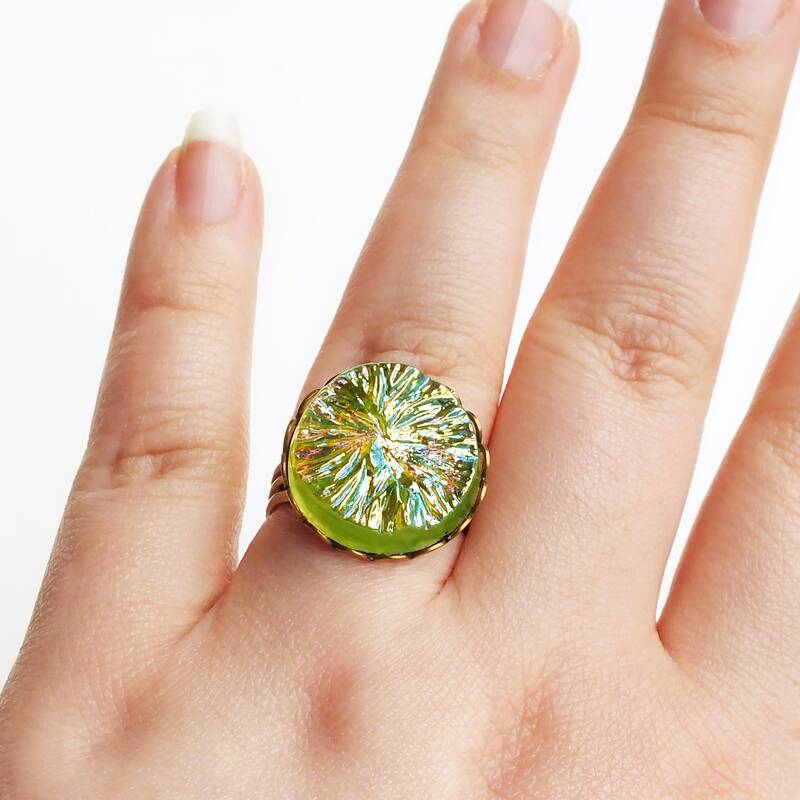 Handmade iridescent green crystal ring with a vintage lime green glass cabochon. 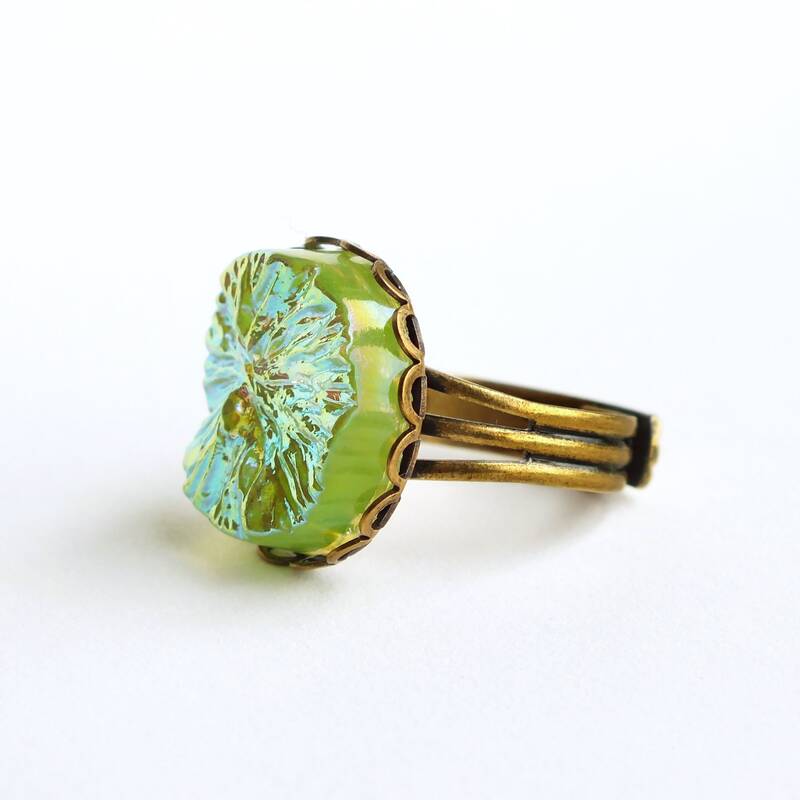 US made antique brass lace-edged setting. 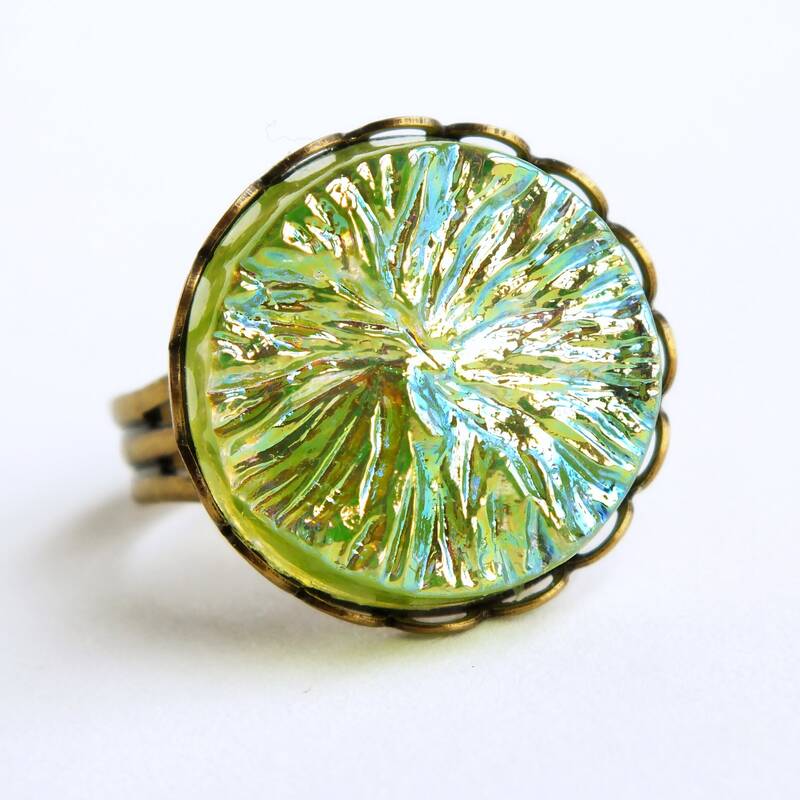 Glamorous cocktail ring made with the most stunning rare vintage iridescent lime green glass cabochon with an irregular starburst pattern. 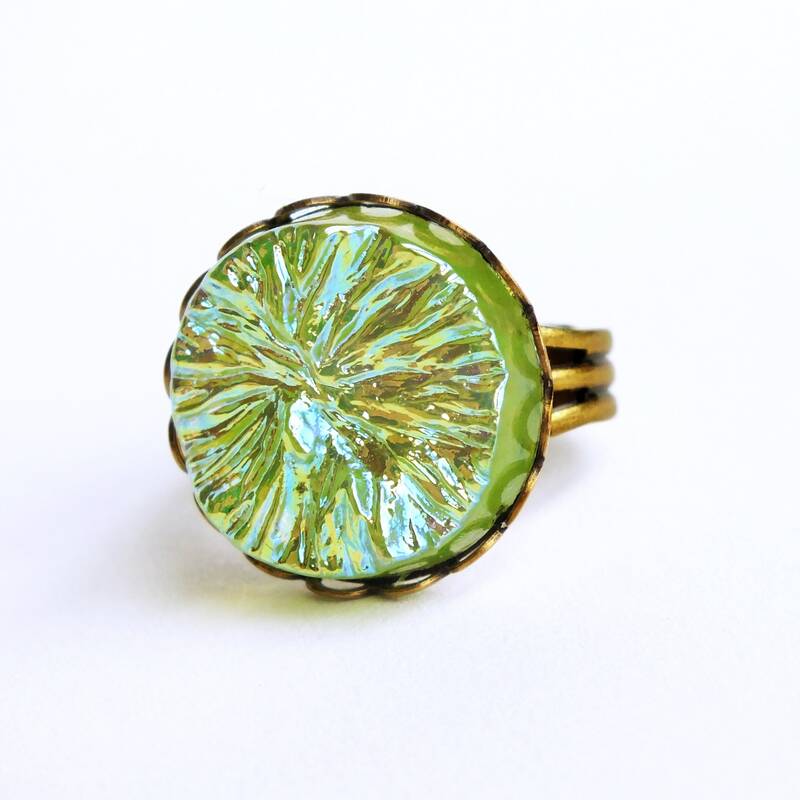 The top is so shiny and metallic it looks wet.